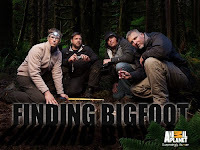 SarahViz.com: Forget About Finding Bigfoot! Honestly, I haven't given the show much attention. While they are watching, I am usually making a healthy meal or cleaning or exercising face-deep into Facebook or Skype, but I DO listen to it. Uh, do these folks have lives? Is this their actual job? 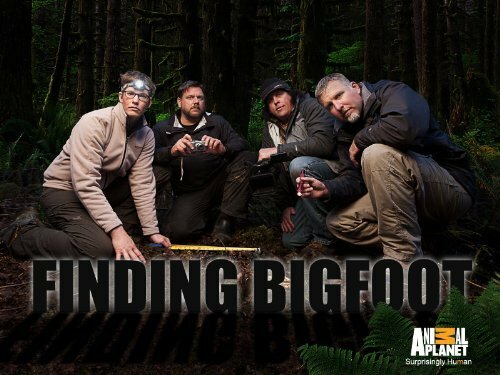 Do they get paid to hang out in the woods looking for giant hairy creatures? Or...Finding Out Who Really Broke That Toy? Or...Finding a Quick and Healthy Meal for Me to Make? Perhaps...Finding That Damn Other Winter Glove? Or...Finding Me More Time in the Day? How about Finding Me The Remote? So I can change the channel to Toddlers and Tiaras. Or Dance Moms. Either, really. When you find all of those things, will you come and help me find my sanity? It's been missing for a long time and I'd sure like to have it again. Between your 3 boys and my 2 boys I think they are keeping that show on the air. Ugh. And yes I believe sasquatch and big foot are interchangeable.